Browse Fuji Electric's ergonomically designed high quality industrial operators. 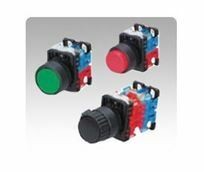 Pilot lights, illuminated pushbuttons, non-illuminated pushbuttons,selector switches, key switch, buzzers, and e-stops are available. 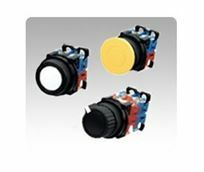 This inexpensive yet long-lasting operators fits in 16mm, 22mm, and 30mm hole.